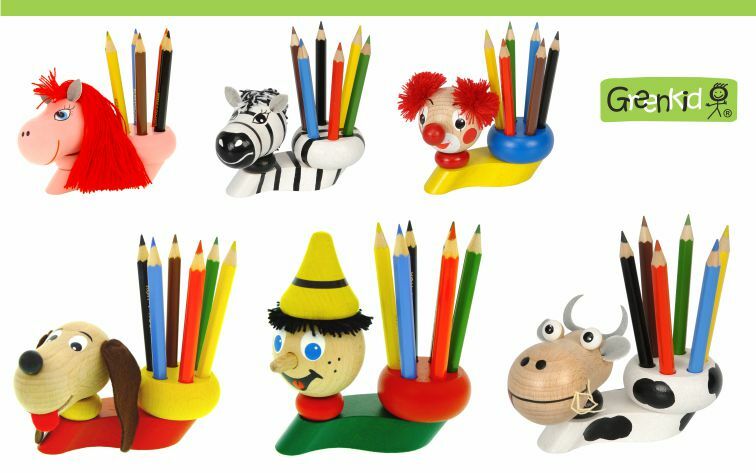 Children’s pencil holders GREENKID are hand-painted, high quality and practical wooden toys with a cheerful design. 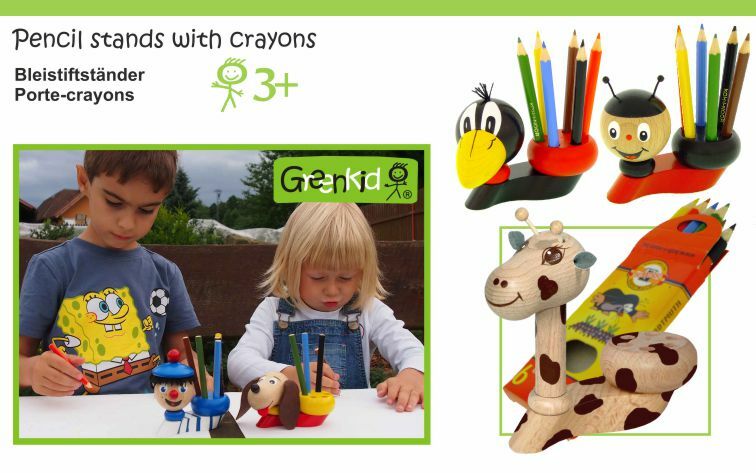 The packaging includes colouring pencils. 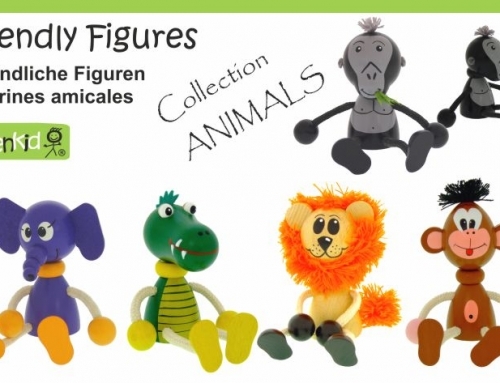 This range of holders includes a variety of children’s favourite motifs such as giraffe, cow, elephant, dog, raven, clown, ladybird, horse, zebra, sailor, Hurvinek, Casper, dragon, honeybee, crocodile, lion and others. 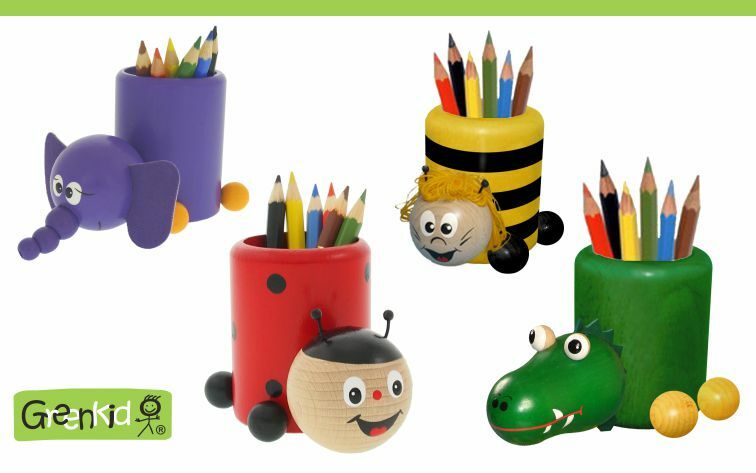 These wooden pen holders are intended for children from 3 years of age and are suitable for boys and girls. 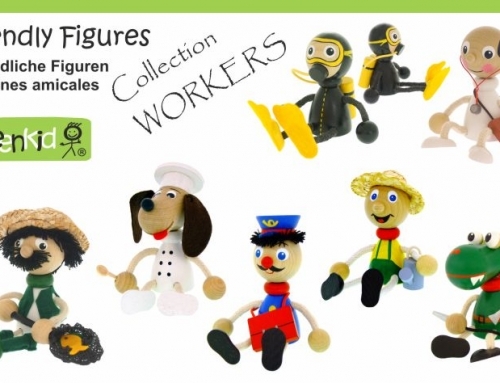 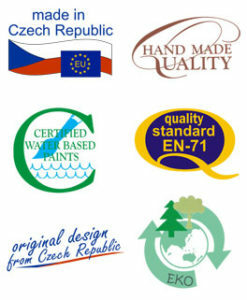 They are suitable mainly for children’s desk. 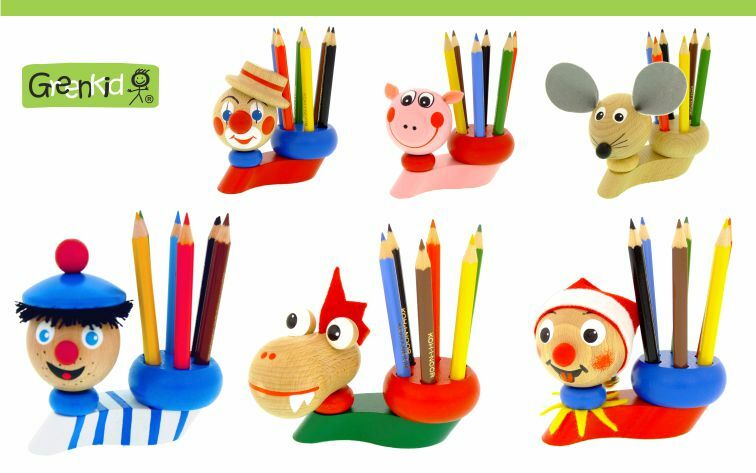 Pencil holders GREENKID are cheerful helpers when drawing but they are also functional toys or even decoration accessories for children’s rooms. 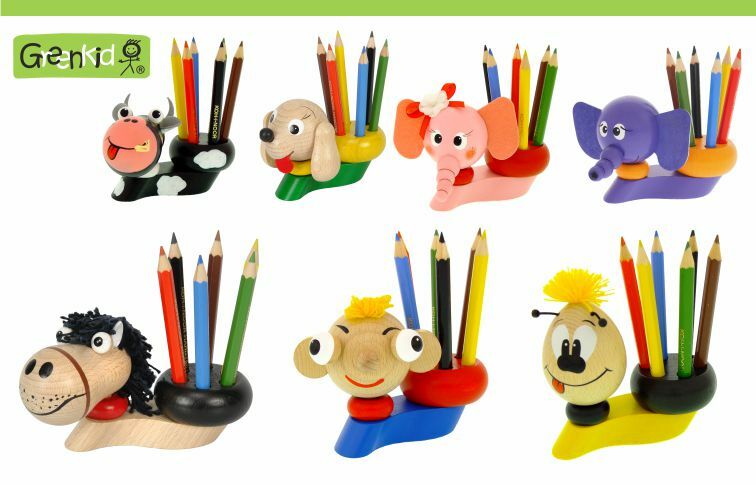 Every holder includes 6 colouring pencils in a separate packaging. 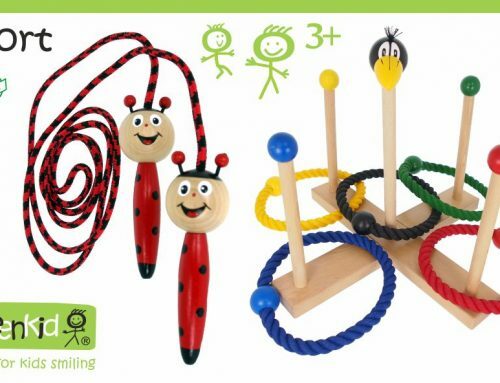 These wooden toys are useful for the development of children’s motor skills. 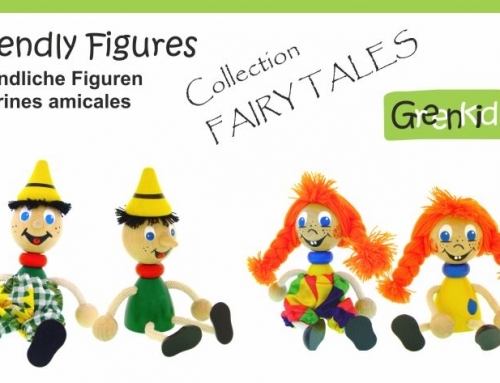 They can improve their holding skills and also practice fine movement of their fingers while drawing. 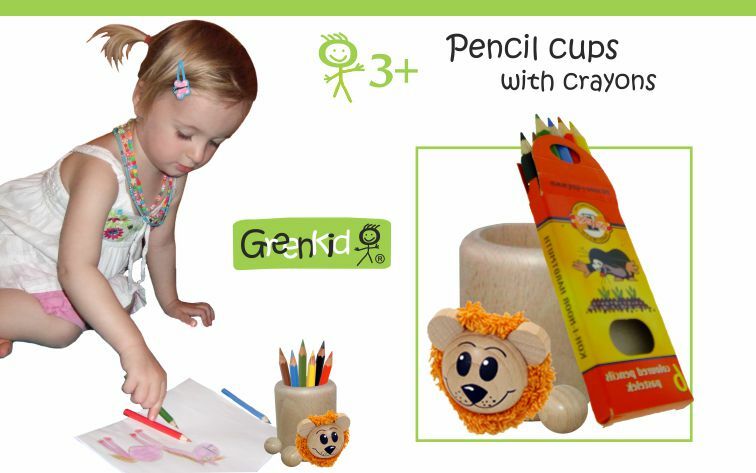 Children also practice tidiness as they have to put the colouring pencils back into the holder. 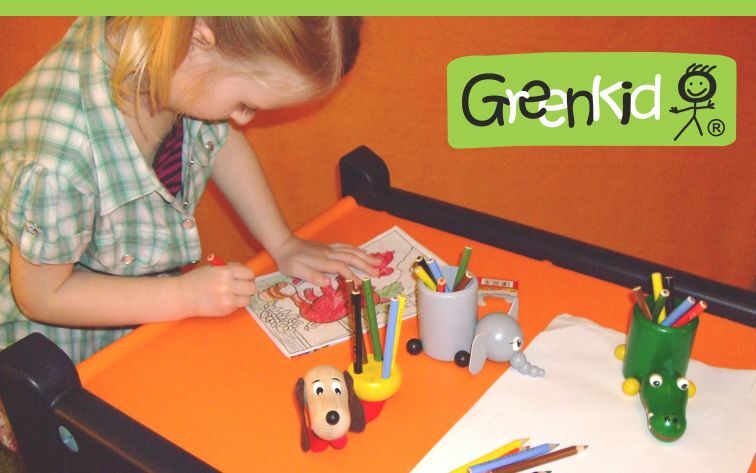 The use of vivid colours can also encourage the development of their visual perception and imagination.